The Wieliczka Salt Mine, situated in the town of Wieliczka Southern Poland, a 30 minute drive from the popular destination of Krakow. Is one of the most impressive and tourist friendly Rock Salt Mines in the world, receiving approximately 1.2 million visitor annually. The Rock Salt was discovered in the 13th century and the first shafts were subsequently built. Now the mine itself reaches a depth of 327 metres, and is over 178 miles long! 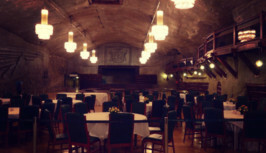 The Mine has underground lake running through it, and can even be booked as a wedding or function venue. 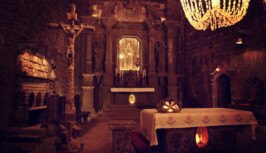 But the most impressive part of this unique mine is the underground salt sanctuary - a huge hall where everything is carved out of it's very own Rock Salt, many religious statues and sculptures, and even the crystals from the hanging chandeliers are made from Rock Salt. In 1978 it was listed on the original UNESCO list of world heritage sites. A recent article from the BBC described our own Winsford Rock Salt mine (where OnlineRockSalt sources it's Rock Salt supply) as resembling the likeness to the lair of a Bond villain. 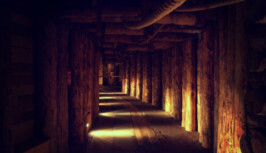 In comparison, the Wieliczka Salt Mine would resemble something depicted in J.R.R Tolkeins Lord Of The Rings. Despite being described as tourist friendly, all visitors will be required to descend a stairway of 378 steps to reach the tour. However you will be glad to know an elevator for the return journey to the surface is in operation.